1964. "Miami Beach from Indian Creek." 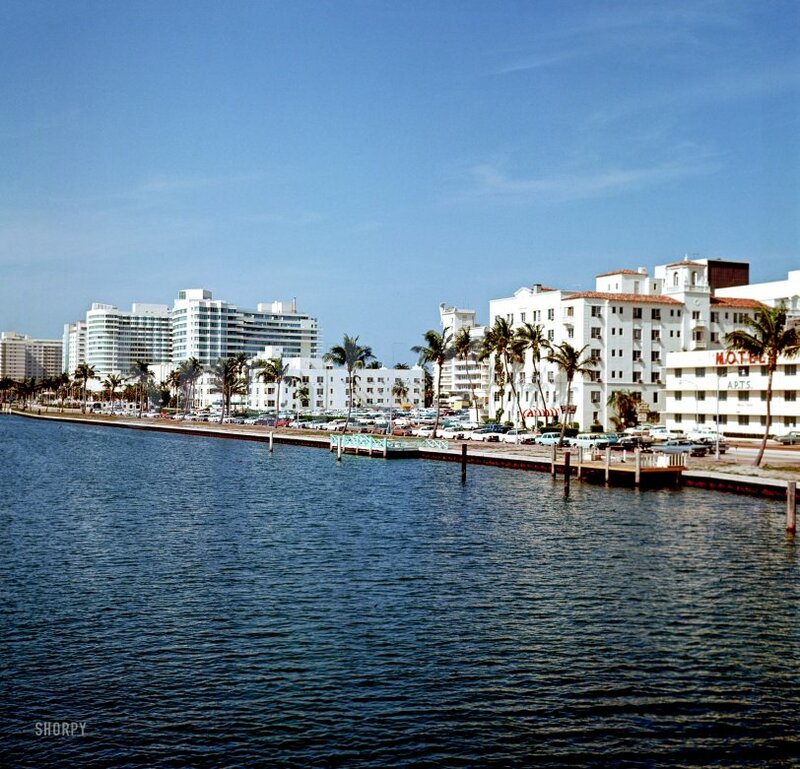 The Fontainebleau Hotel at left. Medium format color transparency, photographer unknown. View full size. Submitted by Darryll on Wed, 07/29/2015 - 10:23pm. This looks an awful lot like the Miami Beach location that kicks off GOLDFINGER (1964) or very close to it. Olds, Pontiac, Chevy, oh my! Submitted by Vintagetvs on Sun, 07/19/2015 - 3:55pm. Seems Miami Beach prefers GM vehicles. I see a couple Ramblers and a lot of Falcons and a few other Fords, but the majority seem to be GM product.